Editors Note: There is a video and two photos available with this Press Release. Research In Motion (RIM) (NASDAQ:RIMM)(TSX:RIM) today redefined the possibilities for mobile computing with the unveiling of its new professional-grade BlackBerry® PlayBook™ tablet and BlackBerry® Tablet OS. 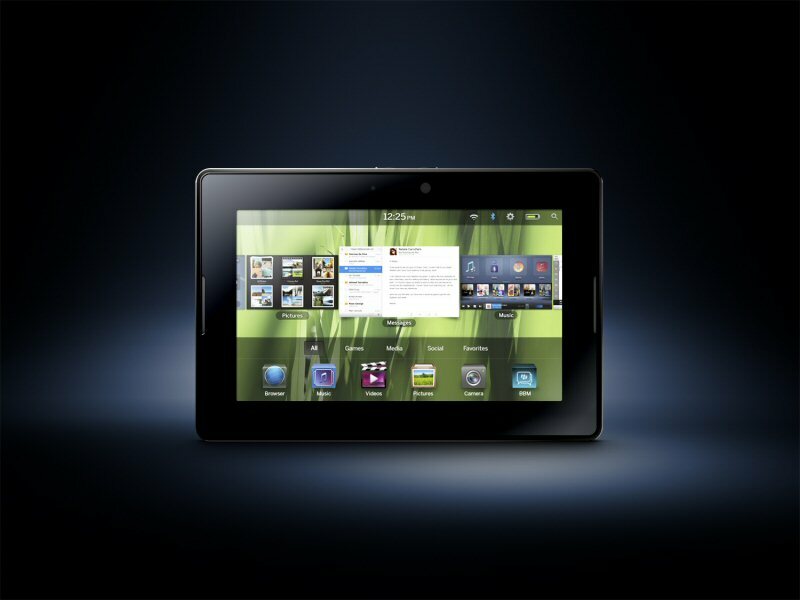 Perfect for either large organizations or an "army of one", the BlackBerry PlayBook is designed to give users what they want, including uncompromised web browsing, true multitasking and high performance multimedia, while also providing advanced security features, out-of-the-box enterprise support and a breakthrough development platform for IT departments and developers. The incredibly powerful and innovative BlackBerry PlayBook is truly a game-changing product in the growing tablet marketplace. "RIM set out to engineer the best professional-grade tablet in the industry with cutting-edge hardware features and one of the world's most robust and flexible operating systems," said Mike Lazaridis, President and Co-CEO at Research In Motion. "The BlackBerry PlayBook solidly hits the mark with industry leading power, true multitasking, uncompromised web browsing and high performance multimedia." This beautifully designed and incredibly powerful tablet is ultra portable, ultra thin and super convenient for both work and play. Measuring less than half an inch thick and weighing less than a pound, the BlackBerry PlayBook features a vivid 7" high resolution display that looks and feels great in your hand. With such a unique mix of utility, performance and portability, you'll want to take it everywhere. At its heart, the BlackBerry PlayBook is a multitasking powerhouse. Its groundbreaking performance is jointly fueled by a 1 GHz dual-core processor and the new BlackBerry Tablet OS which supports true symmetric multiprocessing. Together, the abundant processing power and highly sophisticated OS enable the BlackBerry PlayBook to provide users with true multitasking and a highly-responsive and fluid touch screen experience for apps and content services. With support for Adobe® Flash® Player 10.1, Adobe® Mobile AIR® and HTML-5, the BlackBerry PlayBook provides customers with an uncompromised, high-fidelity web experience and offers them the ability to enjoy all of the sites, games and media on the web. For more than a decade, the mobile industry has worked to bridge the gap between the "real web" and mobile devices through various apps and technologies and, in fact, a significant number of mobile apps today still simply serve as a proxy for web content that already exists on the web. The BlackBerry PlayBook closes that gap and brings the real, full web experience to mobile users while also opening new and more exciting opportunities for developers and content publishers. 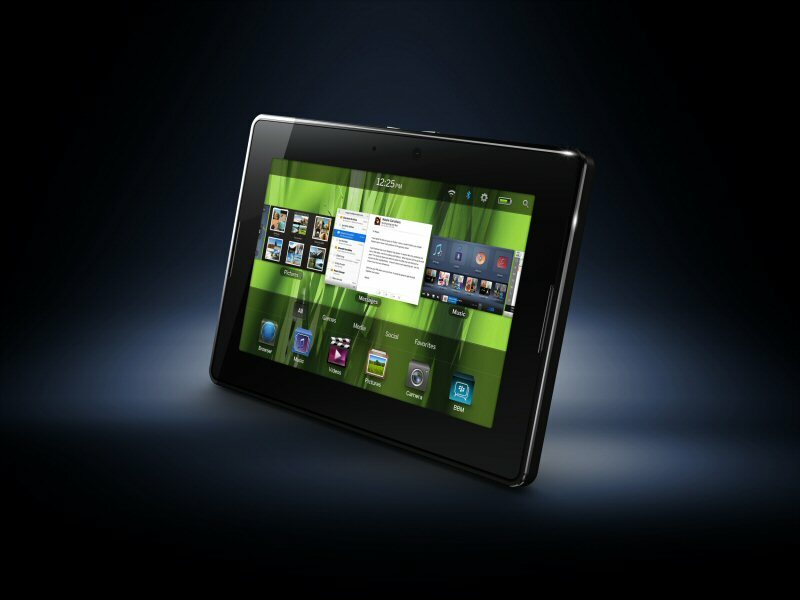 The BlackBerry PlayBook features premium multimedia features to support high-quality mobile experiences. It includes dual HD cameras for video capture and video conferencing that can both record HD video at the same time, and an HDMI-out port for presenting one's creations on external displays. The BlackBerry PlayBook also offers rich stereo sound and a media player that rivals the best in the industry. For those BlackBerry PlayBook users who carry a BlackBerry smartphone*, it will also be possible to pair their tablet and smartphone using a secure Bluetooth® connection. This means they can opt to use the larger tablet display to seamlessly and securely view any of the email, BBM™, calendar, tasks, documents and other content that resides on (or is accessible through) their smartphone. They can also use their tablet and smartphone interchangeably without worrying about syncing or duplicating data. This secure integration of BlackBerry tablets and smartphones is a particularly useful feature for those business users who want to leave their laptop behind. Thanks to the seamless and secure Bluetooth pairing experience and the highly secure underlying OS architecture, the BlackBerry PlayBook is enterprise ready and compatible (out-of-the-box) with BlackBerry® Enterprise Server. When connected over Bluetooth, the smartphone content is viewable on the tablet, but the content actually remains stored on the BlackBerry smartphone and is only temporarily cached on the tablet (and subject to IT policy controls). With this approach to information security, IT departments can deploy the BlackBerry PlayBook to employees out-of-the-box without worrying about all the security and manageability issues that arise when corporate data is stored on yet another device. The BlackBerry Tablet OS is built upon the QNX® Neutrino® microkernel architecture, one of the most reliable, secure and robust operating system architectures in the world. Neutrino has been field hardened for years and is being used to support mission-critical applications in everything from planes, trains and automobiles to medical equipment and the largest core routers that run the Internet. The new BlackBerry Tablet OS leverages and builds upon the many proven strengths of this QNX Neutrino architecture to support a professional grade tablet experience and to redefine the possibilities for mobile computing. The Neutrino based microkernel architecture in the BlackBerry Tablet OS delivers exceptional performance, high scalability, Common Criteria EAL 4+ security, and support for industry standard tools that are already familiar to hundreds of thousands of developers. The OS is fully POSIX compliant enabling easy portability of C-based code, supports Open GL for 2D and 3D graphics intensive applications like gaming, and will run applications built in Adobe Mobile AIR as well as the new BlackBerry® WebWorks™ app platform announced today (which will allow apps to be written to run on BlackBerry PlayBook tablets as well as BlackBerry smartphones with BlackBerry® 6). The BlackBerry Tablet OS will also support Java enabling developers to easily bring their existing BlackBerry 6 Java applications to the BlackBerry Tablet OS environment. Additional features and specifications of the BlackBerry PlayBook will be shared on or before the date this product is launched in retail outlets. The BlackBerry PlayBook is expected to be available in retail outlets and other channels in the United States in early 2011 with rollouts in other international markets beginning in (calendar) Q2. RIM will begin working with developers and select corporate customers next month to begin development and early testing efforts. The BlackBerry Tablet OS SDK is planned for release in the coming weeks and developers can register for early access at www.blackberry.com/developers/tabletos. For more information, visit www.blackberry.com/playbook. To view the video associated with this release, please visit the following link: http://www.youtube.com/watch?v=eAaez_4m9mQ. To view the first photo associated with this release, please visit the following link: http://www.marketwire.com/library/20100927-Tablet_angle_800.jpg. To view the second photo associated with this release, please visit the following link: http://www.marketwire.com/library/20100927-Tablet_front_800.jpg.